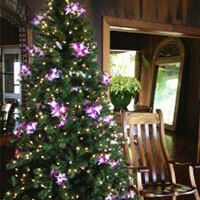 The holiday season kicks off with the annual lighting of the village Christmas Tree here at our Big Island bed and breakfast. The occasion is celebrated with an evening of food, drink, music, galleries open late along the main street, and an appearance by Santa. 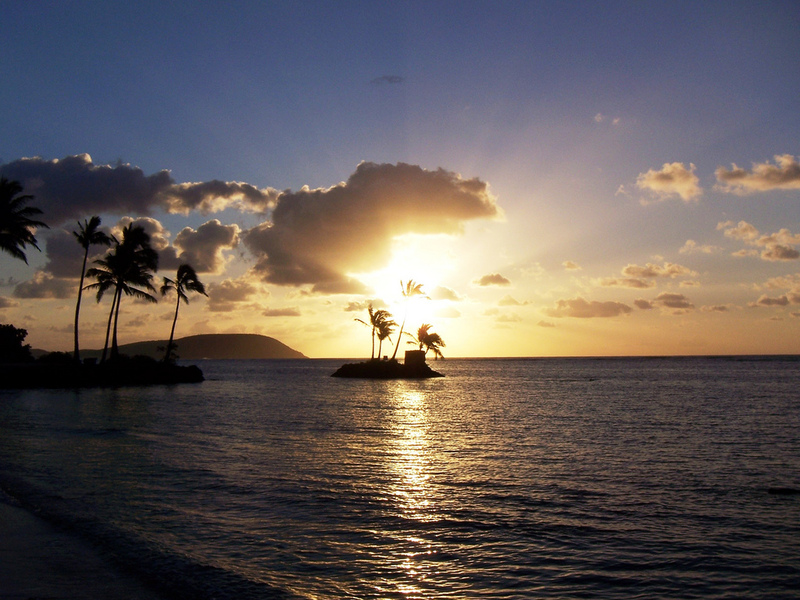 Everything can be reached with a quick walk from the Holualoa Inn, and the festival makes for a charming evening stroll among the artist’s shops and music venues. For more information you can contact the Holualoa Village Ohana at (808) 322-8484. 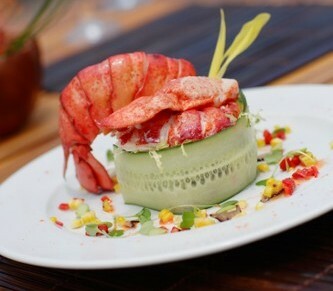 The Feast on the Beach takes place under the stars, from 5:30 – 10:00 pm, at Waikoloa’s Lava Lava Beach Club. 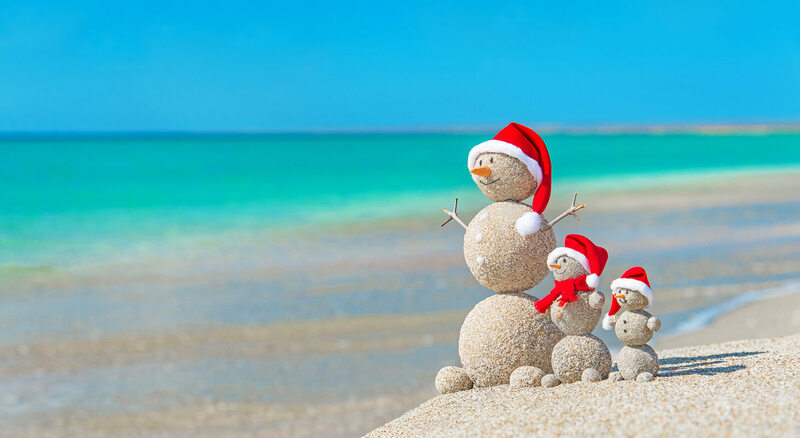 This holiday event features gourmet catering, wine, beer & cocktails, and live entertainment from some of Hawaii’s top musicians, all set on the beautiful sandy crescent beach at Anaeho’omalu Bay. A portion of proceeds from the event will be donated to local charities. For more information call (808) 769-LAVA. The Annual Kailua-Kona Community Christmas Parade is held downtown along Kuakini Hwy and the scenic bayfront of Alii Dr. 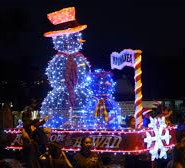 The evening parade starts at the Kona Aquatics Center, and from there the lighted festive floats proceed downtown and along the waterfront to the Royal Kona Resort. 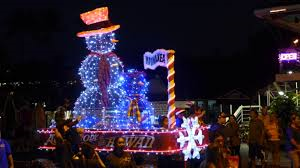 The parade is great for family-friendly fun and is a nice opportunity to see downtown Kona lit up and decked out for the holidays. Another lighted holiday parade featuring Kona’s fleet of fishing and charter boats. Each December, these boats are decked out just like the floats from the Christmas Parade, but with aquatic themes. On the night of the parade these boats put on a display on the water out in Kailua Bay. The parade is great when viewed from the waterfront, but it can also be enjoyed from a distance from the comfort of the makai lanai of the Holualoa Inn. To usher in the New Year, the Ocean Film Festival brings over 60 ocean-inspired films to the Big Island each January, along with guest speakers, filmographers, and producers. The film screenings are paired with expert talks, Q&A’s and panel discussions, as well as early morning ocean-centered wellness activities to make for a truly immersive experience. The festival starts out in South Kohala at venues in historic Waimea, the Mauna Kea Resort, and the Fairmont Orchid from the 1st to the 4th, then moves to the Four Seasons Resort at Hualalai from the 5th to the 9th. Visit the Waimea Ocean Film Festival for more information, tickets and a complete program for the 2019 festival.